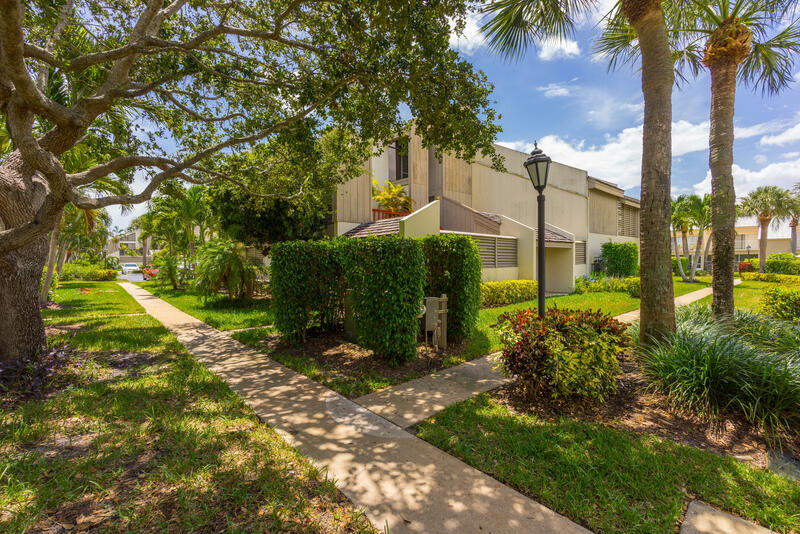 Walk to the ocean from this bright & spacious, upgraded, 2BR/2BA condo with a unique wide-open interior located in the desirable community of Jupiter Ocean Racquet Club. This gorgeous home has a private, outdoor-oasis feel. A huge courtyard leads to stairs that go to a 2nd floor balcony. Inside there are renovated baths, 2-story vaulted wood ceilings, a gourmet kitchen with granite countertops, tile floors laid on the diagonal, floor-to-ceiling windows, a master bedroom loft, and much more! Close to great restaurants and shops. Amenities include tennis courts and a community pool.